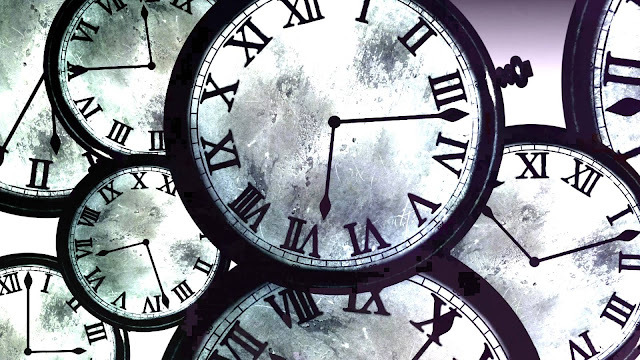 Time travel has been a staple of science fiction ever since H. G. Wells wrote The Time Machine back in 1895, though even the most experienced writers struggle to use the plot device properly. This mechanism is often poorly used, as it remains a purely theoretical idea, leaving it up to the writer to define its limitations. Unfortunately, since most writers are writers first, this usually results in ill-defined rules that sacrifice coherence for drama and rarely remain logically consistent. Time travel is also a Pandora’s Box for fan theories: once introduced, it gets attached to every plot and character so that everyone is actually from the year 20XX trying to rescue their lover/assassinate the pope/stave off nuclear disaster/kill Hitler/save Harambe/whatever. Given this, an anime adaptation of a Japanese visual novel should have the lowest probability of doing justice to something like time travel. Japan already has a proud history of sacrificing coherence for drama including, but not limited to, gender-flipping King Arthur and Nero as women for the purpose of romantic subplots (Fate Series), employing Lucifer as a part-time employee at McDonald's (The Devil Is a Part Timer), and anthropomorphizing the entire Japanese subway system (Miracle Train). Also, given visual novels’ penchant for harems and high levels of fan service, one could be forgiven for not expecting much from Steins;Gate. Thankfully, the show (for the most part) avoids these pitfalls to create an excellent narrative that easily stands as one of the best examples of the genre. Steins;Gate is the tale of the members of Future Gadget Laboratory (actually just a small apartment) led by Okabe Rintaro, a self-declared mad scientist. He and his close friend Mayuri decide to attend a lecture on time travel where he discovers the dead body of scientific prodigy Makise Kurisu in a storage room in the building. 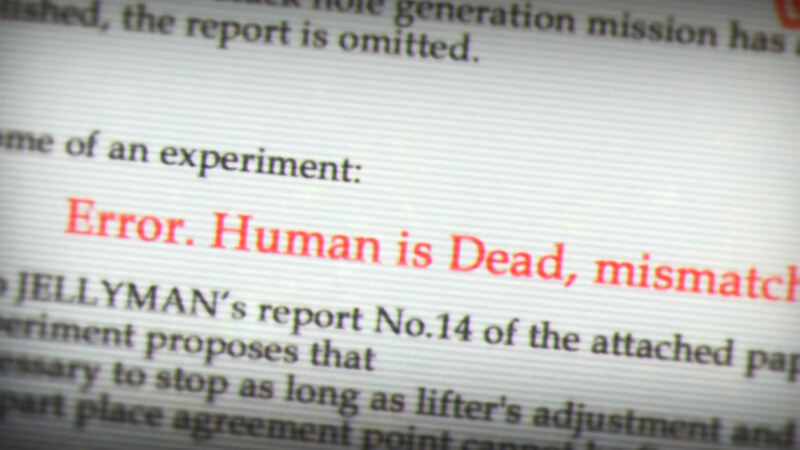 Confused and alarmed, he returns to the building a few days later only to find Makise very much alive and well, with Okabe's friends having no memory of the prior events. Makise, being understandably bewildered by Okabe’s behavior, follows him and Mayuri back to the lab where, several days and much bickering, they discover that the old microwave in the apartment functions as a time machine, after they accidentally send a banana back in time. Naturally, they, along with resident hacker Daru, begin to work on improving the machine. The plot is essentially divided into two parts, with the first twelve episodes introducing the main characters and developing them through what could probably be described as a slice-of-life comedy with some light sci-fi elements. The cast of characters and the overall story is fairly minimalist, focusing on the relationships between characters rather than on an epic plot. Admittedly, this leads to some slow pacing in the early going, as things take quite some time to set up. While this slow build up could be viewed as a negative, it is needed for the events of the second half to have impact. Thankfully, the characters feel human in their interactions, and even if the overall plot builds slow, individual scenes tend to be fast-paced with quick-witted humor. It is this central dynamic between Okabe and his fellow lab members that comes to define their interactions in these scenes. 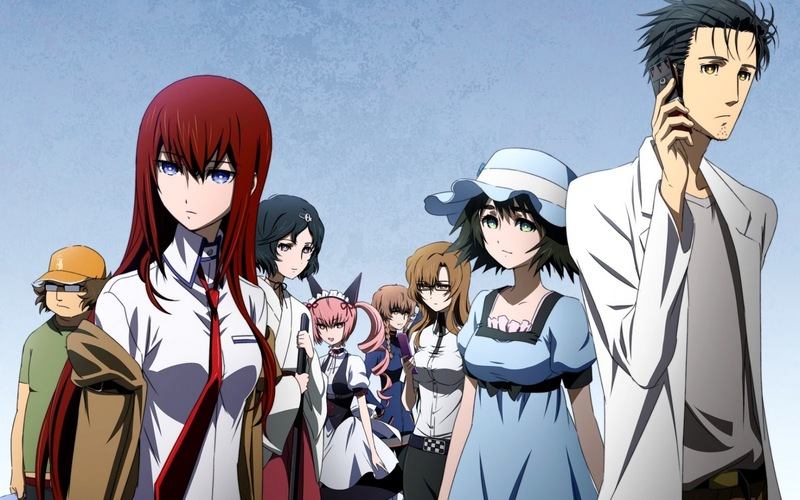 Each character reacts differently to the protagonist, such as lifelong friend Mayuri, who plays along with the more outrageous aspects of Okabe’s character, versus the colder Makise's frustrations and tsundere personality. Others like Faris embrace the ridiculousness of his character and add their own personalities to each encounter with him. The show is legitimately funny, as the writers clearly let the individual personalities bounce off each other rather than force events or scenes for the sake of moving the plot along. Over time, the characters grow together and work to better understand the power of time travel that has been granted to them. As they do, the shadowy internet presence of John Titor (surprisingly based on a real world conspiracy theory) acts as a guide to explain the mechanics and implications of what they are doing. The butterfly effect is in full force here as the messages the characters send to their past selves end up having unintended consequences (and we'll just leave it at that). With the help of John Titor, the group begins to discover that they are not the only ones working on time travel, and others do not have as pure of intentions as they do. These actions build up to a climactic confrontation between the two groups that leads into the second half of the show (and is best left unspoiled). If the first half of the show is a slice-of-life comedy, then the latter half is a series of emotional gut punches and twists wherein Okabe works to undo the damage done by the group’s actions. The show veers into much darker territory as Okabe single-handedly attempts to protect his fellow lab members from horrible fates. The true colors of the characters are revealed, as those who were given the opportunity to change part of the past must be willing to make sacrifices in order to protect those they care about. Issues such as depression, abuse, and death are touched upon and many of the scenes in the tail end of the series are simply heartbreaking. The show works by making you care about the people in the story and them putting them through hell in order to see what they are made of. By doing so, it creates characters that feel real and go past their initial, often stereotypical, portrayals. "Relativity Theory... it's so romantic. But it's just so tragic too." Of course, this could all be undone if the viewer’s suspension of disbelief were to waver. Thankfully, the show plays it smarter than most time travel stories and sets hard rules on what can and cannot be done. Rather than give the characters a full-fledged time machine, early efforts are constrained by hard limitations that slowly open up. The theories the show subscribes to limit physical transportation and, rather than create stable time loops, the world shifts to and from a "base" reality, which simplifies what the viewer is expected to keep track of. Furthermore, due to the minimalist nature of the show, the future that is trying to be avoided is only described in vague terms, which builds suspense while preventing the writers from having to predict the future. Steins;Gate plays by the rules it sets up and doesn’t break them for the sake of earning the characters an easy happy ending (though many times you wish it would). This is all helped by the fact that the show has fairly high production values. Odd camera angles are used to create feelings of uncanniness when the plot demands it and both the animation and writing are well done. References to Martin Heidegger, Don Quixote, and Casablanca reside alongside more modern jokes about the internet and nerd culture. Both the sub and dub versions are of high quality with J. Michael Tatum’s performance as Okabe in the dub deserving a special mention, as he appears to channel his inner William Shatner into some fantastic lines. 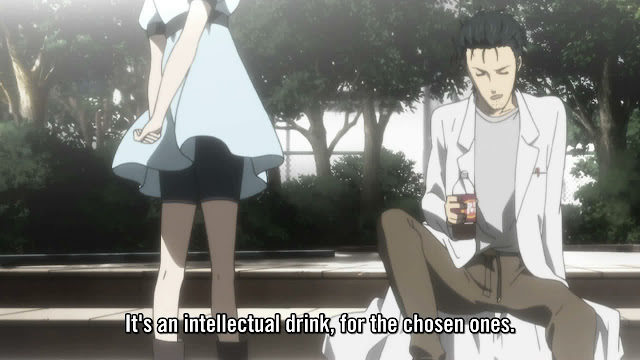 Alternatively, the moments of gratuitous English Okabe in the sub are worthy of all the YouTube remixes they’ve spawned. Either way, you can’t go wrong, and will probably never view Dr. Pepper the same way again. The story is also more willing to stray from some of the painful “WTF, Japan” aspects that plague visual novels. The fan service is almost nonexistent and even parodied for good effect. While the visual novel had multiple romances available to the player, the show smartly plays up one relationship, while keeping the other female characters as friends (and well-developed ones at that). The show also benefits from condensing roughly thirty-some hours of content in the game into twenty-five half-hour episodes. The show covers a lot of content per episode, and even if things are moving fairly slow from a macro perspective, there are a lot of scenes and dialogue going on in the micro side of things. This isn’t to say that there aren’t some “Dang it, Japan” moments, such as the maid cafés, periphery card game tournaments, and an annoyingly androgynous character, but compared to some shows, this is a great starting point for someone who hasn’t watched an anime before and is concerned that the weirdness might turn them off. Steins;Gate is a show that is essentially built for its second half, and anyone who begins watching the show should at least get to the initial twist before deciding it's not their thing. While initially appearing to be a standard anime with a colorful cast of characters and snappy dialogue, it moves far past its original premise to deliver emotional moments that are difficult to find in other shows. Every aspect of the show, from its characters to its writing have depth to them, and like many time travel shows, rewatching it yields a number of Easter eggs that explain the characters' motivations and thoughts in the early goings. While maybe not the most innovative show in terms of plot, by the end, the show is far greater than the sum of its parts and is worth watching for anyone with even a passing interest in science fiction. Have a show you want to suggest to me? Mention it in the comments below!